A romantic, floral wreath is featured in this letterpress wedding invitation, with a classic font printed in navy blue. The perfect occasion for a letterpress monogram. This romantic, wedding invitation features a recurring floral wreath illustration that encloses the initials of the couple. We love how the wreath repeats across a number of different pieces and even appears as a pale, tinted image on the RSVP card. 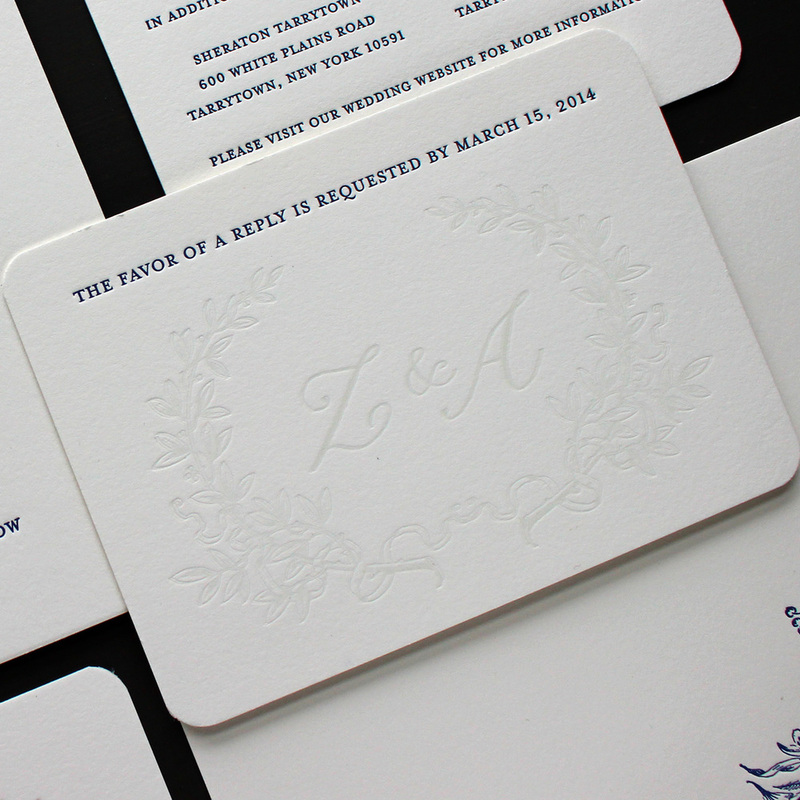 This letterpress wedding suite looks beautiful printed in a single saturated color that draws on the theme of your wedding. The font is classic and refined and allows the quality of the printing to shine through.